Officials at the North East Indira Gandhi Regional Institute of Health Medical Sciences said that the activist, Agnes Kharshiing, was still in a "critical condition" while the other two persons -- her aide Amita Sangma and their driver E. Kurbah -- were stable. The attack on Agnes Kharshiing was the second such incident on a social activist in the district. 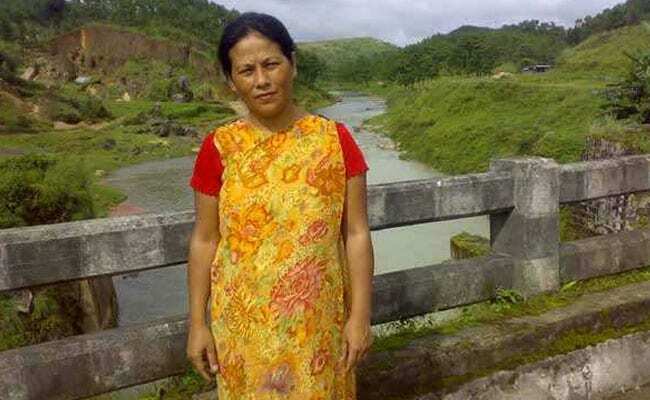 Two people were arrested on Friday in connection with the murder attempt on a women's rights activist and two other persons in Meghalaya's East Jaintia Hills district, police said. "A suo moto case was taken up by police since the victims are not in position to file an FIR as they are in a serious condition. We are interrogating the two arrested persons and a manhunt is on to arrest the other attackers," Sylvester Nongtnnger, the police chief of East Jaintia Hills, told IANS. Meanwhile, officials at the North East Indira Gandhi Regional Institute of Health Medical Sciences (NEIGRIHMS) said that the activist, Agnes Kharshiing, was still in a "critical condition" while the other two persons -- her aide Amita Sangma and their driver E. Kurbah -- were stable. "Kharshiing is on ventilator. The condition of the other two is stable," NEIGRIHMS Spokesperson, K.K.Pandita said. On Thursday, Ms Kharshiing, who is also the President of Civil Society Women's Organisation (CSWO), alongwith Amita Sangma and E. Kurbah were brutally assaulted by a group of some 40 people after the activist lodged a complaint on the illegal mining and transportation of coal in the district. The National Green Tribunal (NGT) had ordered an interim ban on "rat-hole" coal mining in Meghalaya from April 17, 2014, after the All Dimasa Students' Union and the Dima Hasao District Committee filed an application before it alleging that the water of the Kopili river was turning acidic due to coal mining in the Jaintia Hills. Meanwhile, several political and non-governmental organisation leaders have condemned the attack on Ms Kharshiing and her aides. "I condemn the attack on Kong Agnes Kharshiing and Amita Sangma, the other member of the CSWO, today by criminals in the strongest terms possible and pray for her complete recovery. I urge the authorities to waste no time and ensure the arrest of the criminals and their prosecution as per the law," Leader of Opposition Mukul Sangma said. Former Meghalaya Home Minister Robert Garnett Lyngdoh said the attack on Ms Kharshiing shows the "seriousness of the illegal mining of coal in Jaintia Hills". Civil group Thma U Rangli Juki (TUR) said, "This cowardly attack on one of the leading anti corruption human rights activist of Meghalaya clearly points to the impunity with which mafias are operating in the state under political patronage." The attack on Ms Kharshiing was the second such incident on a social activist in the district. On March 19, RTI activist Poipynhun Majaw, who was the president of the Jaintia Youth Federation, was found murdered in Khliehriat, the district headquarters of East Jaintia Hills.